When T Nation first launched way back in 1998, getting your doctor to prescribe testosterone to you was tricky. Luckily most docs are up to speed these days on testosterone-replacement therapy (TRT). Heck, you can even find “low T” centers at your local strip mall and see commercials for testosterone in prime time. Today you have the choice of injections, gels, creams, or pellets in treating low T. However, testosterone injections give you the most bang for your buck. And now, a new method may give you 20% extra bang for the very same buck. It’s called subcutaneous or “subQ” injection. If you’ve been on TRT for any length of time, it’s likely your glutes are so scarred up from years of intramuscular (IM) injections that they’re starting to resemble a piece of leftover gristle from the Sunday pot roast. It’s also quite likely those intramuscular injections are causing the occasional painful inflammatory response, in addition to needlessly spiking your estrogen levels. The safer, simpler, and perhaps even more effective way to administer testosterone is into the fatty layer just under the skin, otherwise known as a subcutaneous injection. Dr. John Crisler, of the All Things Male Center for Health, has played a huge role in popularizing the subQ method. Going under the skin saves you from approximately 500 potentially damaging intramuscular injections every decade. Injecting your testosterone subcutaneously involves the use of a small gauge needle (25 gauge half-inch, or 26 gauge 3/8 inch if you’re very lean), thus making it feasible to give yourself two injections per week, which allows for a more even and natural testosterone profile. Since you’re injecting two times a week, the testosterone is more smoothly metabolized and might even bring estrogen levels down. 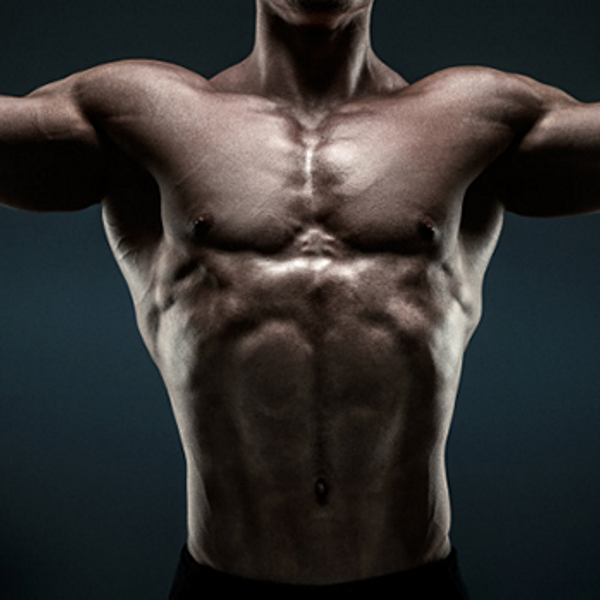 Dr. Crisler believes this method gives you more bang for your testosterone buck. He says that 80 mg of subQ testosterone has the effect of a 100 mg of testosterone administered intramuscularly. You can use the same needle to fill your syringe and administer the dose. Since there’s no danger of puncturing a vein, there’s no need to aspirate when you go subQ. Buy yourself some 25 gauge 5/8-inch needles or 26 gauge 3/8-inch needles (if you’re very lean) and some 1 cc syringes. There are several diabetes care websites that ship direct to the customer. If you’re getting them from your pharmacy, you can ask for tuberculin (TB) syringes that are designed for small subcutaneous doses and make it easy to inject oily testosterone. Split your normal weekly dosage into two equal doses. In other words, if you normally inject 200 mg. IM, inject 100 mg. twice a week. If your doctor has you using 100 mg. weekly, inject 50 mg. on Wednesday and 50 mg. Saturday for example. Wipe the top of the bottle of testosterone ester with an alcohol swab as you would for IM administration. Draw up the testosterone in the pre-determined dosage and simply “dart” the needle into the fat pad on your abdomen, the “love handles,” or buttocks. Do not try to squeeze or pinch the fatty area. The short needle will insure the magic juice isn’t entering muscle tissue. Inject slowly.